Access and connection to distribution networks is defined by Law 54/1997, of 27 November, on the electricity sector, and Royal Decrees 1955/2000, of 1 December, and 661/2007, of 25 May. The right of distributors to access the networks of other distributors will be limited to those already in existence and to cases in which it is necessary to increase the interconnection capacity, in order to address the growth in demand in their area and in accordance with minimum cost criteria for the system. To be able to request access to distribution networks you first need to have a connection point that meets the technical conditions established by law. This right may only be restricted due to the lack of necessary capacity, in accordance with safety, regularity and quality of supply criteria. Agents who wish to directly connect a new installation to the distribution network, or who wish to extend the declared power and conditions of existing installations already connected to the network, need to make their request to the local network distribution manager. This request should include the information required to enable the local network distribution manager to carry out the studies to establish if there is the required capacity. The evaluation of access capacity and definition of any potential reinforcements will take into account criteria relating to safety and the operation of the local distribution network and the development plans for the network. If there is not sufficient capacity to meet the conditions expressed by the user in accordance with network safety and operational conditions, the local distribution network manager may refuse the request. This refusal must be sufficiently justified and should include suggestions for alternative access through another connection point or, if possible, the reinforcements that need to be carried out on the local distribution network to eliminate the access restrictions. If a conflict should arise relating to the network connection procedure, the conflict will be put before the competent conflict resolution body (usually the Department of Industry of the Regional Governments). In cases where a conflict arises relating to the procedure for accessing the network, the conflict will be put before the National Energy Commission. Access to the distribution network for consumers and generators with an influence on the transport network. Distribution network managers will forward to the system operator and manager of the transport network all requests for access to the distribution network for new installations that may constitute a significant increase in energy flow in the distribution network’s nodes connecting to the transport network, or which may affect the safety and quality of the service. The granting of access gives the user the right to use the network. However, this access may be temporarily restricted to ensure compliance with safety and reliability criteria established to ensure the operation and maintenance of the distribution networks. To have the regulation-compliant meter and Power Circuit Breaker installed. To have signed a contract with a marketing company. If the billing is bi-monthly, there will be a choice between 15 days after the application or when the reading is taken. Communication takes place with the marketing company directly. The supply point already exists and a supply is being received (bills are available from the consumer or company) or it exists but has not received a supply for some time. In this case, the consumer must assume the contract from the previous user. If the power is NOT increased, the consumer is NOT required to pay grid access fees because a connection already exists. The consumer is NOT required to pay extension fees because a connection already exists. Take note of the meter reading at the time of entering the property and notify the distribution company. Warning: Depending on how long the point has been without a supply, the extension entitlement may have expired (3 years for domestic supplies). Access to the grid must be requested. These are paid when requesting new supplies. The applicant pays them (usually the developer). Developed land without plot status: electricity infrastructure cost incurred by the owner. 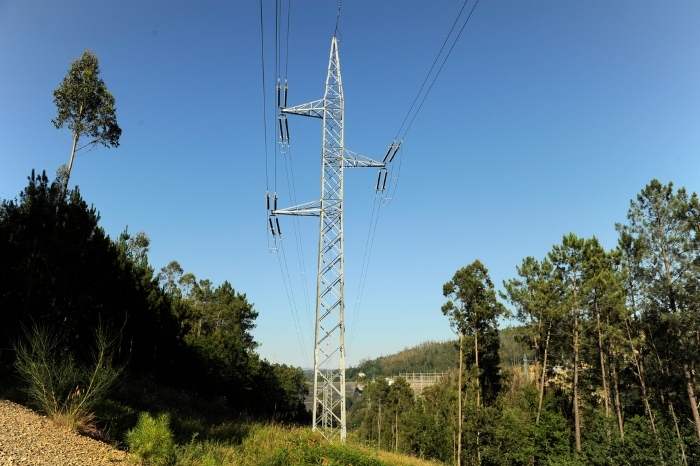 Undeveloped land: electricity infrastructure cost incurred by the owner, including the installations for connection to the existing distribution network and supporting equipment.